Believe it or not, infants are prepared to learn two languages from the time they are born. Newborns have a certain part of their brains that work to detect different patterns in words and allows them to learn two languages at one time. Is this harmful or helpful? - Learning two languages is helpful to a Childs development. Children that learn two languages are often better at processing information and multi-tasking. Is sign language a second language? - Sign language is a second language and is usually taught to infants in the child care environment. Learning sign language helps infants to express their feelings and allows caregivers to be more responsive. Will sign language slow my Childs ability to use words? - Sign language is an aid to words. When a caregiver teaches an infant sign language they back up their signs with words. When an infant uses a sign, the caregiver will repeat the sign back to the infant and attach a word. Sign language is an aid to words and does not affect the Childs ability to use words. What can I do to help my child learn a second language? - Exposing your child learn a second language can help them learn that language. Exposure can start in the womb and happen throughout their lives. Listening to music or videos of different languages are great ways to provide exposure. Children are born with the ability to learn a second language. It can help them learn to process information better and help them to be better multi-taskers. The best way to help your child learn a second language is from exposure. It is important to have a strong relationship with your child because it directly impact your child's development. Children develop attachments to those who meet their needs. Thus, when a child forms a strong relationship with their parents their needs are being met and the relationship creates an environment that promotes physical, cognitive, emotional, and social development. Healthy relationships and interpersonal interactions help the brain to release a chemicals that regulate brain functions and effects a child's development. Reading with your child at night gives you a chance to cuddle up with them and bond for a minute. It might seem like a simple gesture, but its sure to stick with your child for a lifetime. Books are filled with words and language that differs from their everyday lives. Books help to build a child's vocabulary and models speech. Books help children learn how to read left to right. Also, reading the same book multiple times helps children to learn to predict future outcomes. Over time children will learn to make predictions about books they have read for before. Another benefit of reading is that it helps develop problem solving skills. Reading models how to solve problems and helps children learn empathy. By asking questions like "how would that make you feel," helps children relate to the character and reflect on their own feelings. Reading is the first step to word recognition and writing skills. These skills will carry on though your child's life. Reading to your child every night also develops routine and helps prepare children for school. 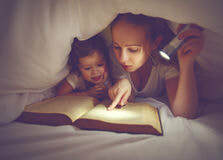 While reading to your child every night has its benefits, take time to read to your child whenever you get the chance. Simple actions like reading signs in the store or in the car can have some of the same benefits and help your child learn about the world around them. Dry cereal and a glass of milk. Whole wheat bagel with peanut butter, half a banana, and a glass of milk. This one actually hits all four major food groups! French toast sticks and orange juice. The good thing about French Toast sticks is that they’re thicker, can be eaten by hand, and are perfect for dipping. Breakfast Pizza- Make mini breakfast pizzas with ready-made crust, scrambled eggs, and cheese, Or, just roll all those ingredients up into a soft taco and make breakfast burritos. Breakfast Snack Mix- Throw some granola, almonds, raisins, dried fruit, dry cereal, or just about any other healthy bite-size bits into a baggie, shake it up, and let your child go wild. Smoothies made with yogurt and fresh fruit. One thing to keep in mind, breakfast does not have to consist of actual breakfast foods. If your child wants leftovers from the night before, a sandwich, or something else that seems unusual, as long as it’s healthy, go for it. If you have any great fast and healthy breakfast ideas to add to this list, I’d love to hear them! Whats new? keep up on whats happening at Birth Toddlers & Beyond and get ideas for the health and happiness of your child.